24" X 36" Oil Painting On Canvas Hand painted oil reproduction of a famous Mary Cassatt painting, Mother and Child XI . Today it has been carefully recreated detail-by-detail, color-by-color to near perfection. 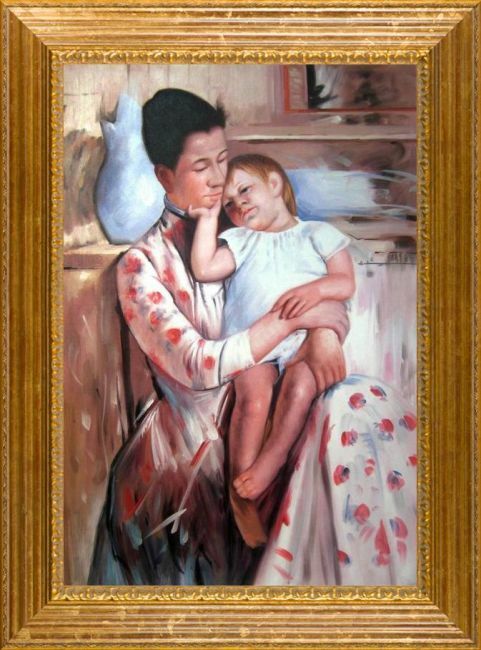 Cassatt's skill at capturing the natural attitudes of children is highlighted in this painting. The intense expression on one child's face shows her complete concentration with the days activity. 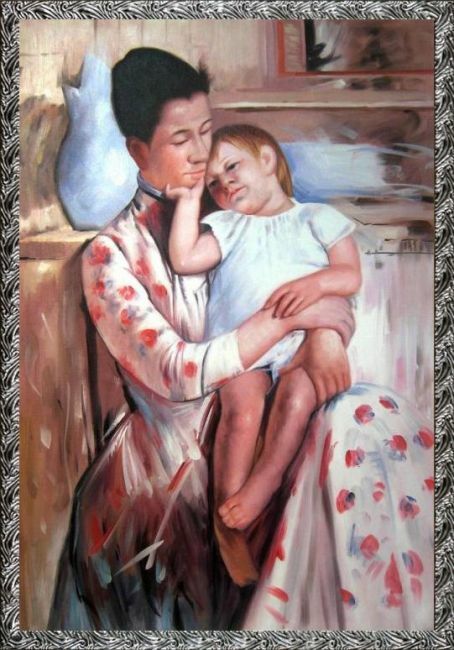 Mary Cassatt was an American painter and printmaker. 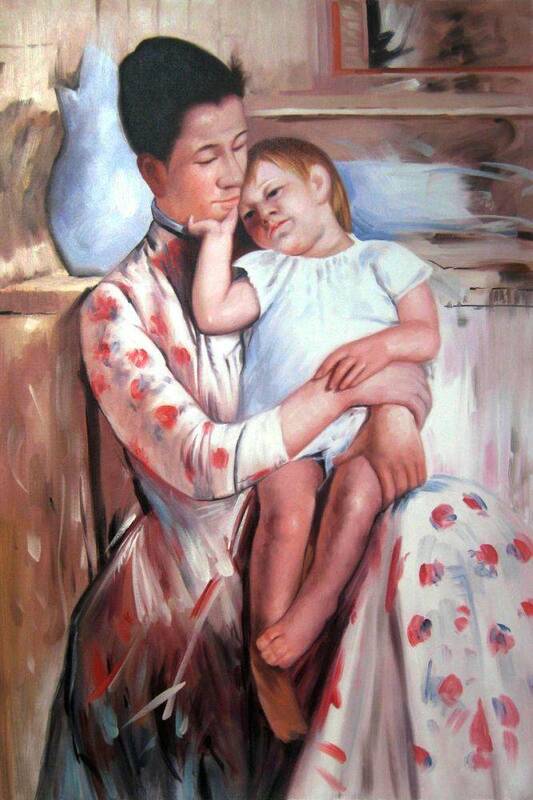 She lived much of her adult life in France befriending Degas and exhibiting with other Impressionists. 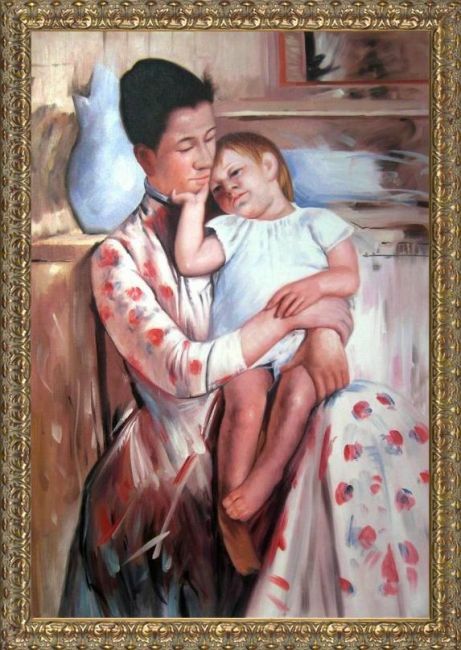 Cassatt often portrayed the social and private lives of women, with a focus on the intimate bonds between mothers and children. This painting is sure to be admired by friends and family in any room of your home.